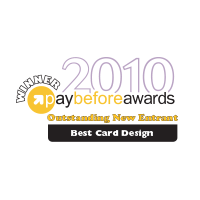 TORONTO, ONTARIO — The Buffalo Sabres “Sabrebucks” Season Ticket Holder Rewards Program has been chosen as a Paybefore Awards Outstanding New Entrant in 2010, in partnership with DCR Strategies Inc. The Sabrebucks Season Ticket Holder Rewards Program was selected by a panel of five industry experts who served as judges for this year’s competition, which included a record number of entries from around the world. In the spring of 2009, DCR Strategies, Inc. embarked on a journey with the Sabres to develop a multifaceted program – one that provided valuable couponing information and loyalty building opportunities. Through the Discover network and DCR’s TruCa$h Rewards program, the companies developed two different reloadable prepaid loyalty programs – one for Season Ticket and Mini-Pack Holders and one for gift card purchasers. These “SabreBucks” cards can only be used within the HSBC Arena and allow users to track purchases and the card’s balance. As the program evolves, fans will receive discounts and privileges like invitations to watch game day practices, player introductions, seasonal promotion and discounts on team attire and stadium concessions. Fans will be able to use their cards in other unique ways, such as accessing an online catalog of autographed team merchandise for sale and other perks. The limited edition items will have a predetermined SabreBuck value and include autographed player pucks and jerseys, as well as exclusive seating in the press box and intermission Zamboni rides. The SabreBucks Card also is available in gift card form. This stored value card replaces traditional paper gift certificates and can be purchased at the Sabres Store or arena for a minimal fee. These cards, too, are reloadable and allow the user to track purchases and balances. Gift card holders get access to special programs from the Sabres and Buffalo Bandits.